When it comes to homes, leaving for an extended period of time can be problematic. Say you’re the proud owner of a summer home or cabin, or perhaps you intend to spend an extended period of time away from your year-round residence during the coming colder months, know how to prepare your home. Here are some key tips to winterize your home and minimize potential damage that may be heading your way. 1. Turn off the water at the exterior source if you will be away the entire winter. Should a pipe burst during a cold spell and you have no one checking on your property for weeks or months at a time, an untold amount of water damage can result. Even just small water leaks that go unchecked will contribute substantially to your water bill. (In fact, you should look into insurance coverage options for property that sits vacant for long periods; it can well be worth the cost). Open all faucets and drain the water lines and water heater. An added tip: To prevent total water evaporation from your toilet’s trap (which can permit sewer gases to enter your home), raise the toilet’s lid and seat and cover the bowl with plastic wrap. 2. Unplug electric appliances. Fire prevention. If the power to your property will remain on, unplugging devices such as a microwave, toaster and television helps avoid the risk of fire that can result from small animals gnawing on the wires, or a power surge of any kind. 3. Close fireplace flues and dampers. This is an easy thing to overlook in the rush to close up your home for the season. Properly closing off your fireplace will keep these aforementioned small animals from infesting your home, and aide in fire prevention. 4. Reduce fire hazards. Another obvious, yet easy to forget task is the removal of items that could either lead to fires or provide tinder for ones should they get started. Don’t leave behind stacks of papers. Don’t store cans of stain, paint or paint thinners, oily rags and brushes, or other combustibles. Even firewood should not be left in large quantities alongside your hearth simply for the convenience of having it ready upon your return. 5. Empty your freezer and refrigerator. Should the electricity be off for any length of time, the items will spoil and you’ll be faced with disposing of a very smelly mess upon your return. Along those same lines, any non-perishable items you leave behind should be stored in metal containers with tight lids. Even soap, sponges and candles should be locked away, as some rodents and vermin see these as a food source, as well. Of course, these are just a few of the necessary measures for winterizing your home. Others, such as taking down screens, closing shutters or installing storm windows, are more involved, and depending on your personal skillset or availability, may require professional assistance. Handyman Matters stands ready to assist you with these and any other repairs, as well restorations or other tasks your summer getaway—or your year-round residence—might require. Call 1(800)FIX-MY-HOME or go to www.handymanmatters.com to find the office closest to your area. Keep your Wood Floors Looking their Best! Wood flooring is far and away the more popular flooring option among homeowners these days. It is attractive, versatile, and with a bit of care, easy to maintain. For current (and future) wood floor homeowners out there, these are a few regular tasks to help you preserve their value. 1. It’s important to sweep wood floors regularly, as dust and other particles will cause surface scratching. You should make sure to place furniture slides under the legs of tables, chairs and other heavy objects. Also put mats in front of every entrance to catch dirt that gets tracked in from outdoors. 2. Don’t use any wax containing polyurethane on a wood floor, as it will make it impossible to re-surface the floor should you need to do so in the future. It is easy to buff out minor scratches on a polyurethane floor. 3. Remove minor scratches by using a scouring pad dipped in mineral turpentine, and buffing only in line with the wood grain. You can also check with your local hardware or home improvement stores for recommendations on scratch-removing sprays. Wood repair sticks are another option for filling deeper scratches. Remember, though, when using these, to be careful to match the color to that of your floors. Like any flooring, some care must be taken to keep wood looking its best. Many people feel that the steps necessary to maintain wooden flooring outweigh any drawbacks. They are easier to clean than carpeting. Furthermore, carpeting tends to retain allergins, dust, hair and other debris that can more easily be removed from wooden surfaces. Finally, real estate agents will be quick to tell you that homes with wood floors sell more quickly than those with wall-to-wall carpeting. If you are having bigger repair issues with your wooden flooring than the problems mentioned above, or if you are contemplating installing wood floors in your home for the first time, call 1(800)FIX-MY-HOME or enter your zip code at www.handymanmatters.com to locate the office nearest you. Their bonded and insured craftsmen can assist with either your floor’s repair or remodeling challenges. 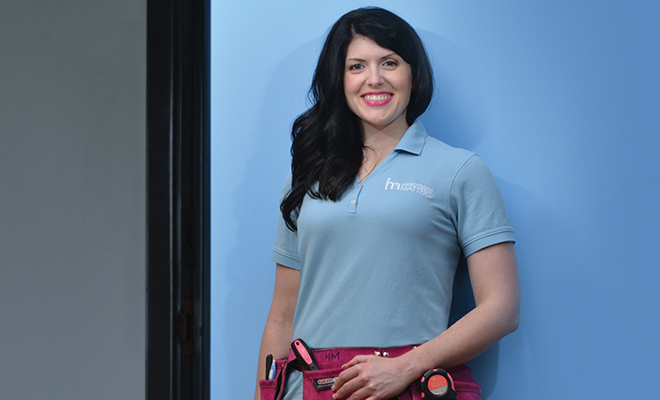 Handyman Matters was Featured in HerLife Magazine! Find out more about Michelle Young in this month’s issue of HerLife Magazine. In the Cherry Creek area? We have your home improvement experts ready to go. Just call 866-FIX-MY-HOME or head to their website to find out more about their home improvement and repair services. Ready for a Change? It can be as Easy as Switching up your Floor Plan. Are you a recent empty-nester? Have you just finished decluttering the house? Or maybe you’ve simply been contemplating the current floor plan of your living space and you wonder if there could be a more efficient—or a more attractive—way of arranging your belongings. You could, of course, put your home on the market and find an entirely new place to live, but if you’re looking for something a little less disruptive and involved, here are a handful of smaller suggestions to consider. Expand an existing room – Is there a room in your home that’s rarely used these days? Consider the idea of knocking down the wall between it and an adjoining room to make a more open and welcoming space between the two. 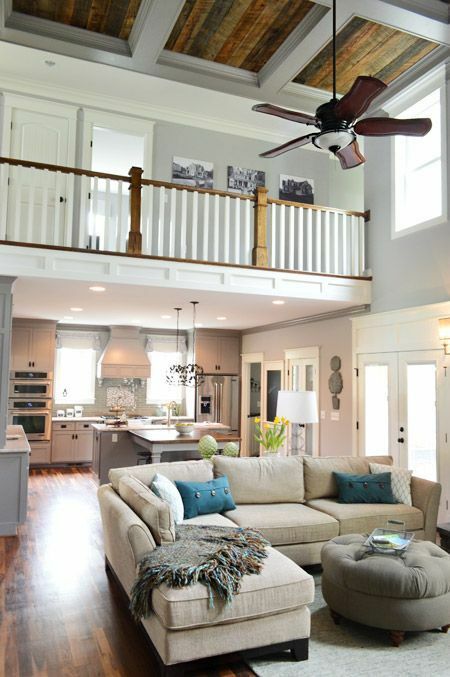 Think about creating an open living room connected to your kitchen. Interestingly, a larger expanse can give a stronger sense of intimacy! Add a closet or increase the size of your current one – Maybe it’s time to consider turning that small, cramped space into a walk-in closet where your clothes, shoes and other paraphernalia aren’t competing for visibility. 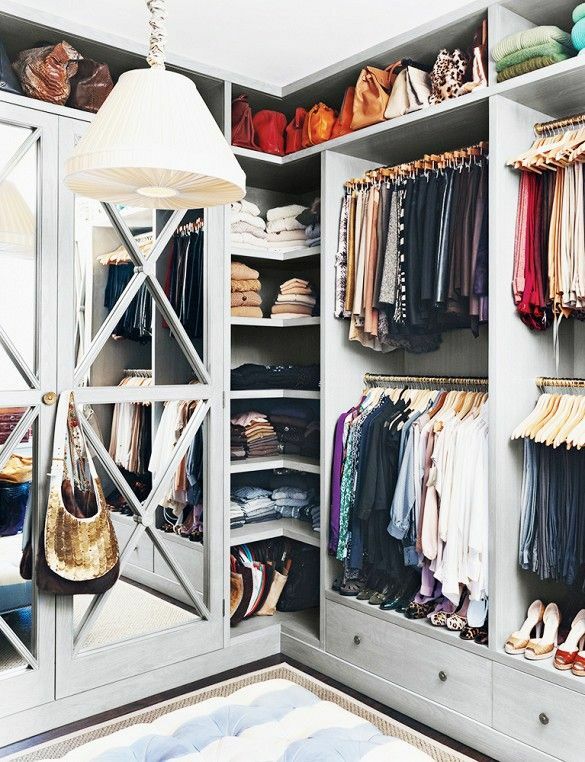 Walk in closets are one of the best ways to treat your room to a little luxury. Examine your options: is there some adjoining space that could be better served by making it part of a larger closet? Adding or moving cabinets – Every home seems to have that catch-all cabinet and/or that junk drawer, the place where everything that has nowhere else to be winds up. Even those storage spots that have an assigned purpose tend to accumulate items that don’t belong there, because they don’t quite seem to fit anyplace else. Conduct a walk-through of your home for the specific purpose of inventorying cabinet/cupboard locations and their contents. It’s probably been awhile since you actively considered whether things are stored in their most convenient spot. You’ve simply become accustomed to retrieving them as needed without much thought about how far you have to walk, or how deeply you have to dig. 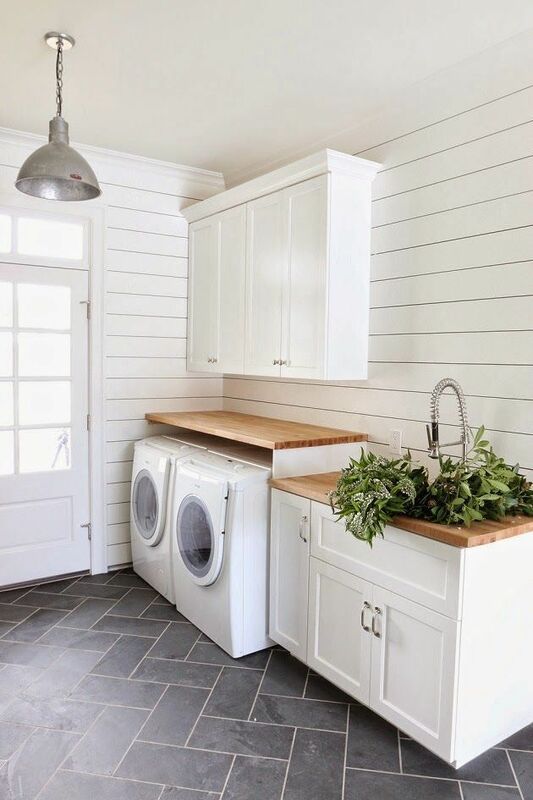 Consider these areas of interest when considering moving or installing cabinets: laundry room, garage, mudroom, kitchen, or billiards area. 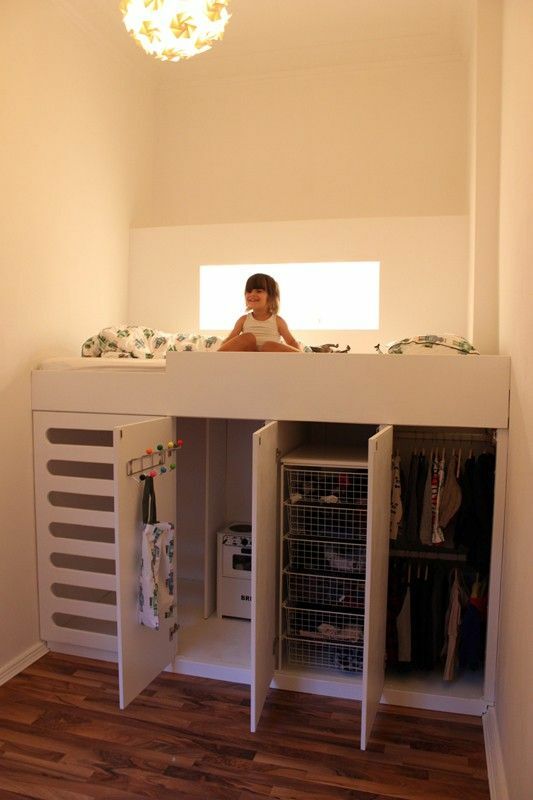 Floor storage platforms – In homes with higher ceilings, a recent and popular option is to install platform floors which allows for additional storage space. These can be stylish, as well as unobtrusive, adding to a room’s appeal. Baseboard drawers – A particularly innovative recent practice has been the installation of drawers along baseboards. 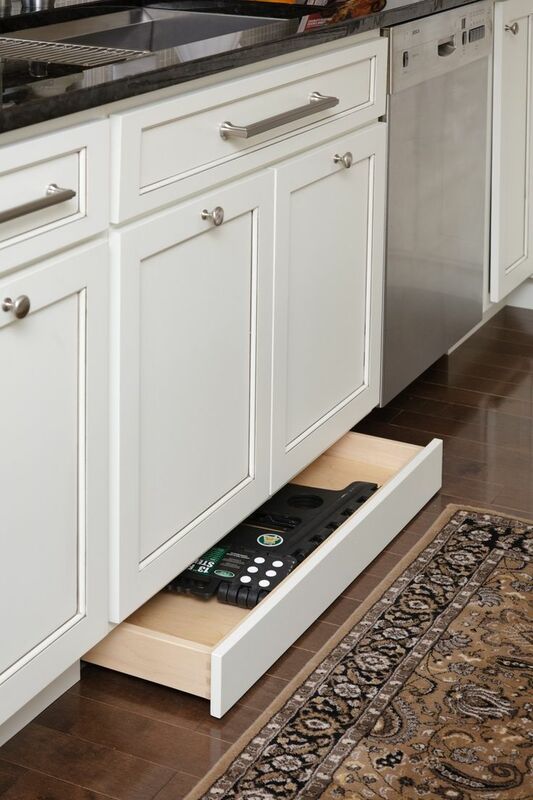 This might be a good option for storing things you don’t need on a regular basis, or that you don’t mind bending all the way down to the floor to retrieve. Otherwise, this may not be the most convenient choice for you! Wall storage – Rather than adding shelving that extends out from a room’s wall (thereby robbing the room itself of space), built-in shelving creates additional storage capacity that allows you to display knickknacks or to keep items like books, games and DVDs at the ready. Built-in shelving can also add more architectural character to your home’s layout. Think offices, libraries, bathrooms, and living rooms. These are just a few of the options worth considering if you are looking to upgrade your home with an eye towards space reconfiguration. Our many Handyman Matters offices have qualified craftsmen who can help you decide what the best option for your home may be, and to help you complete the job to your satisfaction. Call 1(800)FIX-MY-HOME or go to www.handymanmatters.com where you can enter your zip code to find the phone number of the Handyman Matters location nearest you. Here are a few suggestions that even the most inexperienced DIY-ers can feel comfortable tackling around your home. 1. Sluggish/Clogged Shower heads – Hard water can be a shower head’s worst enemy, since its mineral content will build up inside and impede water flow. You can partially fill a sturdy plastic bag with vinegar and wrap it around the bathroom shower head. Take pains to secure it with duct tape or twine and leave it overnight. The vinegar will significantly clean out the deposits, and you will have a much better water flow. 2. Water Stains on the Ceiling – If your ceiling has just one or two minor water stains, you may be able to avoid re-painting the entire thing by trying this simple method. Fill a spray bottle with a solution containing 10% bleach and 90% water and spray the spots. Within a couple of days the stain will likely disappear. This works on both flat and textured surfaces. Note: Be sure to wear protective eye gear when trying this! 3. Sticking Vinyl Windows and Doors – When sliding vinyl windows and doors refuse to open and close easily, it’s likely because debris has become lodged in the channels. A simple solution is to spray polytetrafluoroethylene (PTFE) spray lubricant onto the contact points and then wipe them out with a rag. PTFE is the same substance used in coating non-stick cookware. This Teflon spray product can be purchased in any home improvement store or even online. Caution: Do not use oil lubricants, since they can attract dirt, as well as damaging the vinyl surface. 4. Filling Old Nail and Screw Holes – An old tip for repairing these holes, courtesy of Popular Mechanics, is to pop a wooden golf tee into the opening. Then saw the tee flush with the wood’s surface, sand and finish. 5. Removing Toilet Bowl Stains –Once again, vinegar comes to the rescue. Create a paste by mixing vinegar with baking soda and apply it to the stains in the toilet. Allow the solution to set for an hour or longer, then scrub with a brush, and the stain should lift away. Because it’s biodegradable, the vinegar and baking soda combination is also environmentally friendly. Not all home repair and restoration projects can be managed as easily or as quickly as these. For the more extensive and challenging tasks that need to be addressed, remember that you can always count on Handyman Matters. Call 1(800)FIX-MY-HOME to locate the handyman nearest you. Keep an eye out for summertime debris (Frisbees, footballs, kites) because these are the number one enemy of gutters, and believe you me, they will get stuck. Also, doing a sweep for missing shingles and small leaks on your roof is one of the best preventative measures you can take to avoid costly, wintertime roof damage. As leaves and snow begin to cover your walkways, it will be hard for guests to not step on the broken stair, or on the tile that habitually comes loose and falls out. They won’t be able to see the ground, so make sure it’s stable and keep your guests safe. Filters, vents, and air ducts need to be cleaned regularly. First-off because are a fire hazard when they aren’t maintained. Dust heats up and catches fire. Think: heaters, dryers, fans, etc.. Additionally, dust build-up doesn’t just stay put, it will circulate debris throughout your house. Cleaning your home will be all that more difficult if your vents and filters are dispersing dust. Effective draining systems protect your home from water damage. Filter upcoming snow, rain, sleet, etc. out and away from your home by having clean, crack-less gutters. You will be able to maintain your home’s paint while simultaneously avoiding wood rot. Don’t spend more money than you need to heat your home. Sealing the cracks in your doorways and windows will keep your house cozy and help you go green by being more energy efficient. This may mean swapping out windows, doors, or adding some new sealant and caulk. There’s nothing quite like an unexpected snow that causing unruly tree branches to snap. In many scenarios this will mean damage to surrounding property. Trim back branches hanging over walkways, parking spaces, driveways, roofs, or fences – you’ll be glad you did. 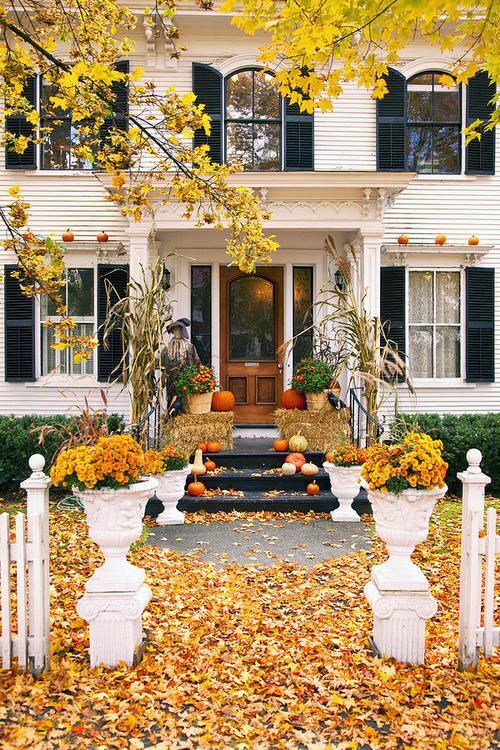 Lay the foundation for a productive fall by know your home is repaired, safe, and up to date. Once you have your seasonal home maintenance list together, let us do the rest. For a free estimate on your fall preparations call 866-FIX-MY-HOME. Years ago no one would have considered the concept of a walk-in shower in their house’s bathroom. Such things were reserved for locker rooms and health clubs. Now they’ve become a popular trend in private homes for a number of appealing reasons. Walk-in showers offer extra space as well as giving your bathroom an open and airy appearance. They are easily accessible and user-friendly. The elimination of thresholds makes them safer alternatives for children, seniors and for anyone dealing with mobility-restricting challenges. With fewer parts where grime and soap scum can accumulate, they are easier to clean. For these same reasons, the threat of mold is greatly reduced, with fewer places in which it can gain a foothold. Showers can be designed with or without glass partitioning, depending on personal tastes. Walk-in showers require no special ventilation or lighting. The placement of accessories (shower heads, wall niches, grab bars) can be tailored to suit the homeowner’s needs and aesthetic preferences. Because this type of shower has an opening to the rest of the bathroom, its walls should be water-proofed or tiled at least as high as the shower head, and the fixtures adjusted to confine the water’s direction to within the stall area. Just a small degree of slope will prevent water from flowing out into the rest of the room, yet not alter the floor enough to prohibit easy access. Your shower’s stall space should have dimensions no smaller than 36 by 36 inches, and ideally, 42 by 60 inches. Unless you are skilled in bathroom remodeling, this isn’t a do-it-yourself job, since significant structural and plumbing issues need to be addressed. Your local Handyman Matters office is happy to offer guidance and expertise if you are considering this type of upgrade. Call 1(800)FIX-MY-HOME or locate us at www.handymanmatters.com where you can enter your zip code to find the phone number of the office nearest you.